The Panthers had a memorable comeback in the fourth quarter and used an Isiah Hicks layup to catch and eventually beat the Rams, 68-66. Let’s be frank: it is the wrong way to be advertising the use of public transportation–and to experience this egregious advert, one simply has to take the Blue Line through Long Beach. And if you’re lucky, you’ll only hit one or two lights as you watch individual commuters putt-putt past you while the entire Metro train, filled with hundreds of folks, comes to a halt. However, according Luke Klipp, one of Garcia’s Metro Board Deputies, the “fair amount of coordination between the City and Metro” has pushed the project into 2018 due the procurement process, bidding, fiber cable replacement, and more. The project, grant-funded through Metro in a partnership with the City’s Public Works Department and currently out to bid, will absolve one of the largest gripes of Blue Line commuters coming in and out of Long Beach. This will not be full preemption—impossible according to traffic engineers for both the City and Metro—but light synchronization. In fact, the Long Beach stretch of the line is the only stretch which doesn’t have a signal preemption or synchronization system–that is, controllers for the movement of traffic that gives preference to Metro trains rather than street traffic (and not to be confused with signal priority technology used for buses). When the line was first implemented, it had been foreseen that the train would be given priority signalization–in other words: a longer green light. However, the system failed countywide, eventually prompting the City of Los Angeles to score a grant in which it developed its own traffic signal priority system. 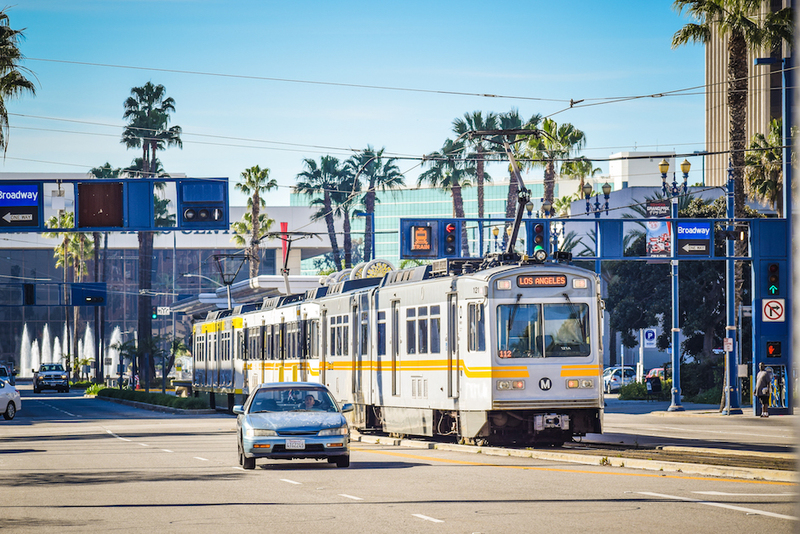 The Blue Line has not only faced signal issues in Long Beach nor have the other lines been exempt. Through the previously mentioned grant, LADOT provided signal priority on Washington Blvd. in 2011 after a multitude of complaints and three years of studies. Much to the chiding of public transit commuters, that preemption was not implemented since signal priority attempts to either hold a green light longer or give a green early rather than providing a guaranteed green for trains. However, Long Beach’s home stretch is oftentimes absurd, adding anywhere from 5 to 30 minutes to the commute to DTLA if you happen to hit reds at the 32 signals paralleling the Blue Line. So are we happy? Yes, we are very happy.